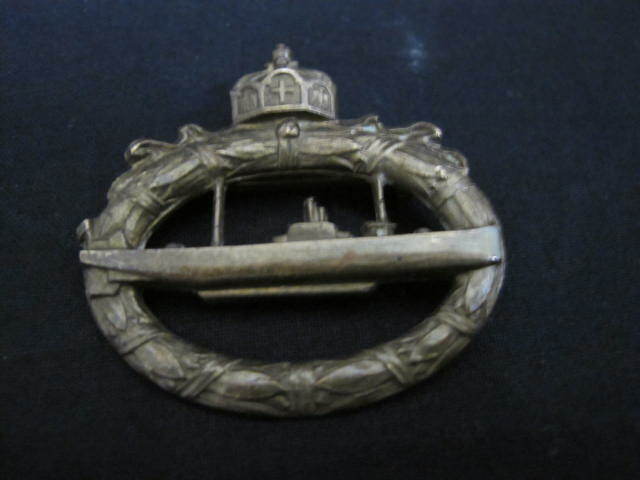 Scarce and seldom found Imperial German Naval U Boat Service badge. 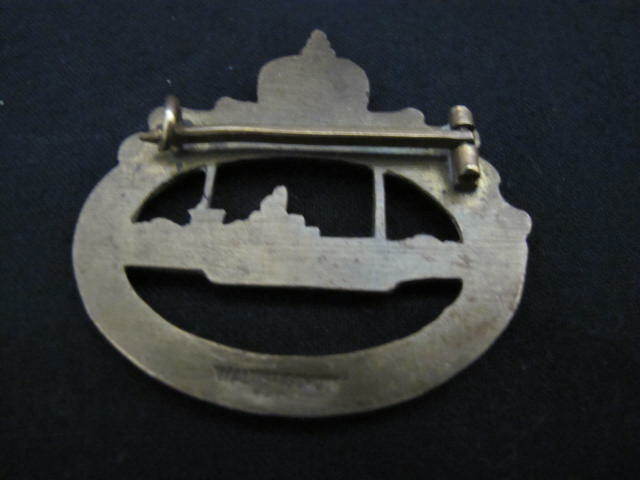 Complete with correct uniform mounting pin. 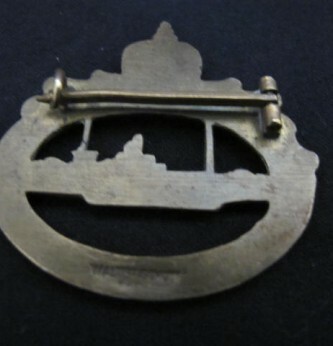 Maker marked to reverse Walter Schot. Good overall condition. 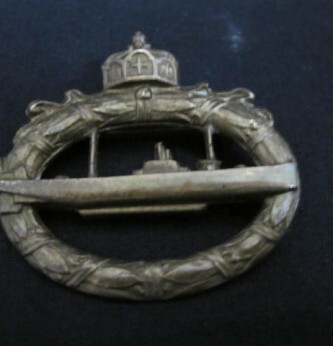 A scarce and hard to find naval award nowadays.